Juba Kalamka read poems about John Anthony Bailey and other convergences of race and identity. Colette Phair read from YA novel-in-progress Beautiful Monster. Veronica Montes read her story "Benedicta Takes Wing." Townsend Walker read his story "Slashing At The Nets." 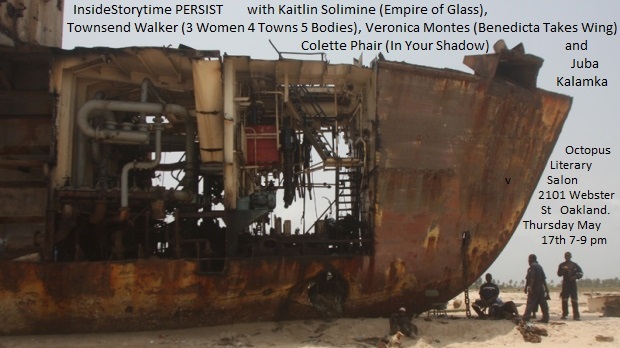 Kaitlin Solimine read about the murder of cranes from her novel Empire of Glass.